This time we are going to learn how to use AutoCAD drawing tools. 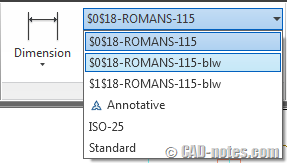 I will not describe how you can use every tools, but how to use AutoCAD drawing tools in general. My objective is you know how to learn AutoCAD by yourself. 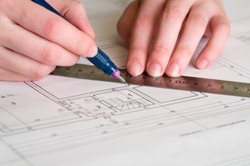 I can write how to use every AutoCAD tools, but don’t you think understanding it is better? There’s nothing hard in using AutoCAD drawing tools. Let’s try this simple steps. You can see the screenshot below, click next/forward button to move to the next step. Click the tool you want to use on the ribbon. AutoCAD drawing tools is on home tab. Let’s start with line. You will see the dynamic input near your pointer. It will tell you what you need to do next. Most of drawing tools will ask you a point location. We will learn how to input the coordinate precisely later. Just click anywhere on your drawing area. Again, dynamic input will tell you what to do. Another point location. Click anywhere again. Pay attention that information in dynamic input is also shown in command line. AutoCAD is continue asking you for point location. Click again. When you finish drawing line segments, press [enter] to finish it. Many veteran AutoCAD users like to use [space] as an alternative. Now let’s try to draw a rectangle. Just like drawing lines, it will ask you for a point location. Click anywhere. This is how you can see options for creating rectangle. The most common way is defining 2 points, but you can also define it by using other methods. If you see in the command line, you can see the options too. You can use the option by typing the capital letters in available options. 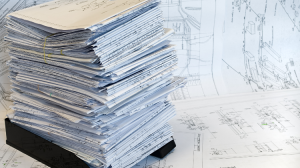 Using most AutoCAD drawing tools can be used the same way. Click the tool to activate it. Change the options if necessary. Some tools will end after you define points, like rectangle and circle. Some other tools require you to end it manually, press [Enter] to do it. Now, try to use the other drawing tools. Don’t worry about the size for now. We will learn how to input points precisely later. If you still want to learn AutoCAD, contact me. AutoCAD civil still demands you knowing the full AutoCAD package. Still need help in AutoCAD, contact me. I love it! Excellent article. That helped me a lot. I would like to share with you a great service to merge some files online. Just look at the service http://goo.gl/OAIFQr Its pretty easy to use.